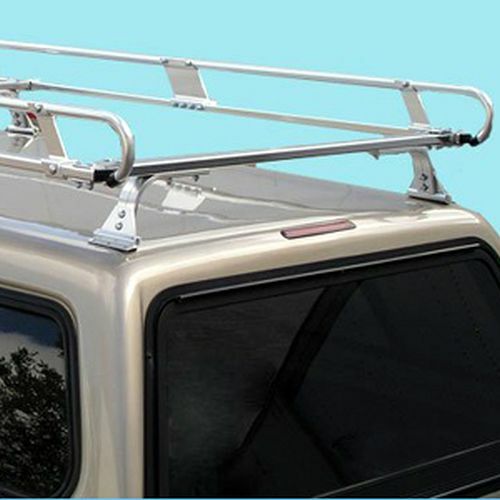 The Hauler II c10tmg48-1 Aluminum Top Mounted Camper Shell Ladder Utility Truck Rack provides Hauler's trademark quality, engineering and stunning appearance. 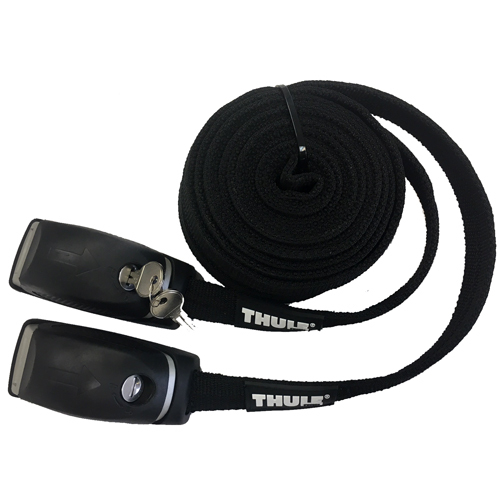 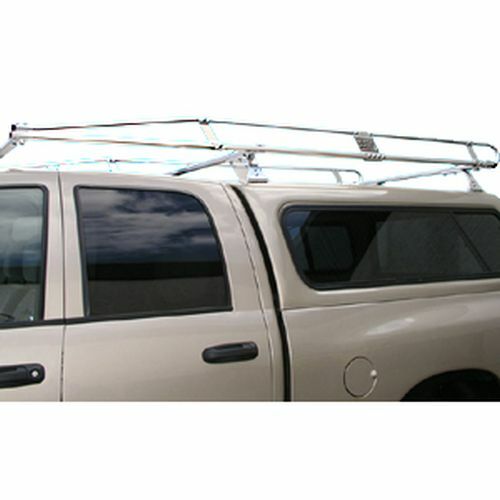 The Hauler II lightweight aluminum pickup truck cap rack is designed and constructed with bright dipped, anodized aluminum making it visually appealing as it is rugged. 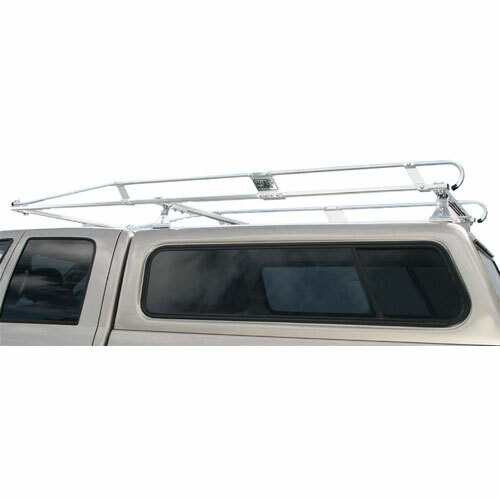 The Hauler II camper shell truck rack installation requires drilling directly into a level fiberglass shell (not compatible with high low cap), and has a maximum capacity of 300 lbs of evenly spaced cargo, or what your cap is rated (consult your camper shell dealer for cap weight rating). 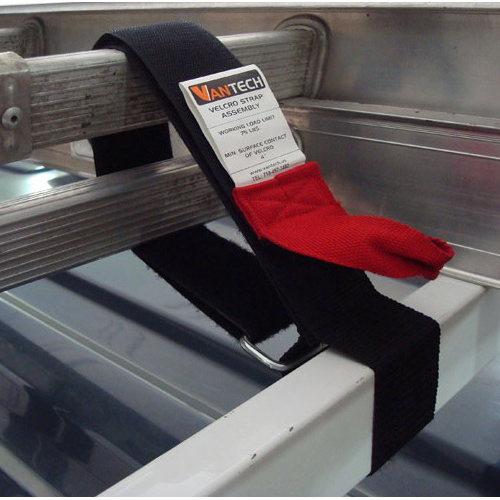 The legs will slide along the underside of the crossbar giving the rack a universal fit. 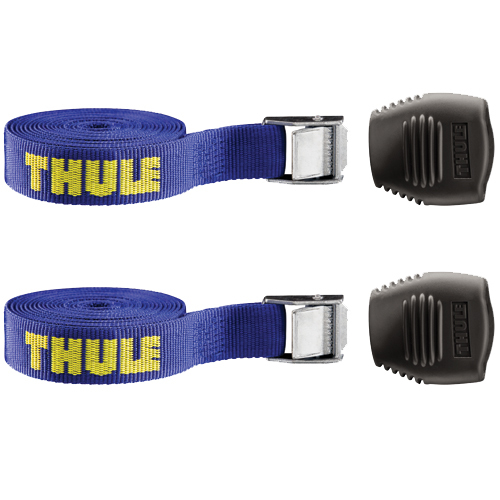 The Hauler II cap rack has a 3 crossbar design, which includes a cantilever extension over the cab to accommodate longer loads. 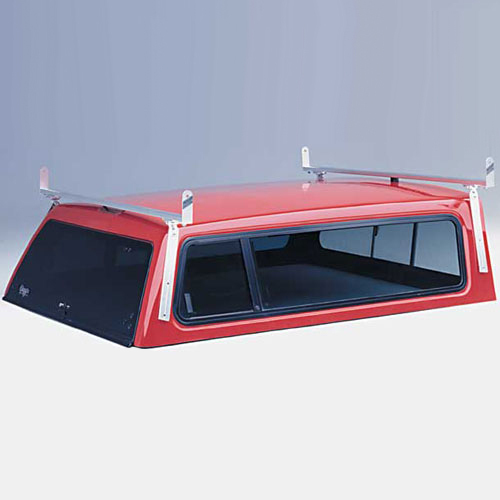 This Hauler II camper shell truck rack is compatible with all 1997-2014 Full Size Standard Cab, Extended Cab, and Crew Cab with 8 foot beds.